Me and My Thoughts: Back to School! Well, we have had an amazing summer here. The weather was fantastic and we couldn't have asked for anything better. We stayed home for most of it but did manage to get away for a week. And now I'm thankful to get back into a routine, with the kids at school, me teaching piano and daily life. 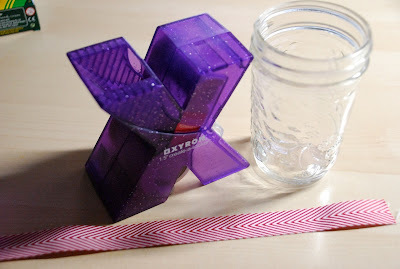 Today I have a Xyron project to share with that's all about school. 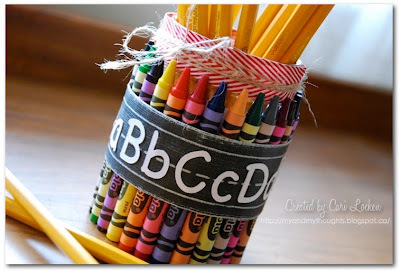 I've browsed a lot online and pinterest and came across a cute idea. So I thought I'd give it a try. 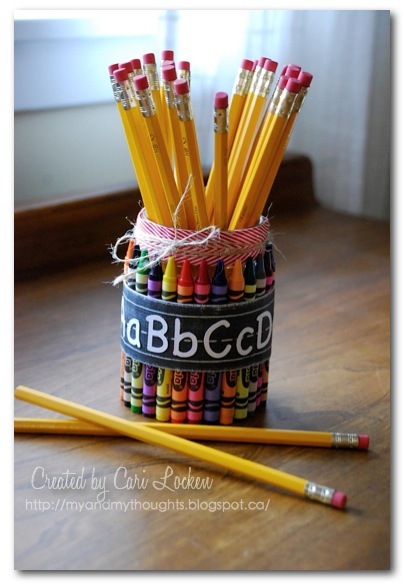 This makes a great teacher's gift for the beginning of the year too. 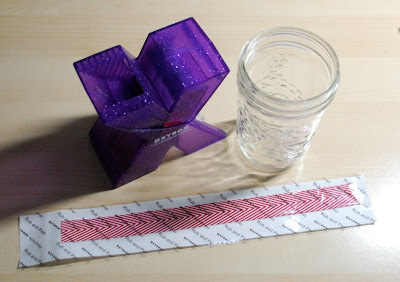 I used a regular jam jar for this project. I ran some ribbon through my 1.5" Create-a-Sticker and adhered this around the top edge of the jar. 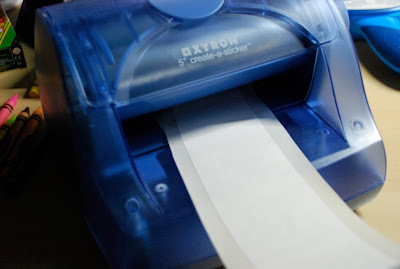 I then covered the middle section with some paper. 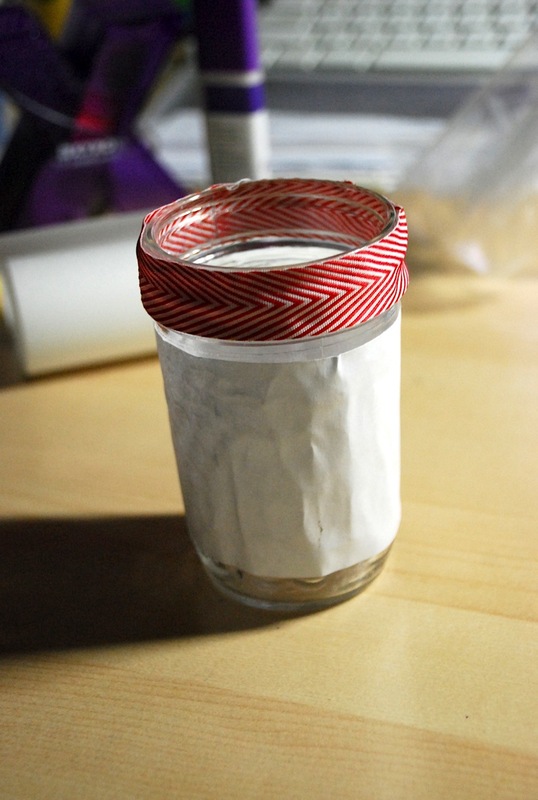 I then ran another piece of scrap paper through my 5" Create-a-Sticker and adhered this to the paper already on the jar by using the Xyron Glue Stick. 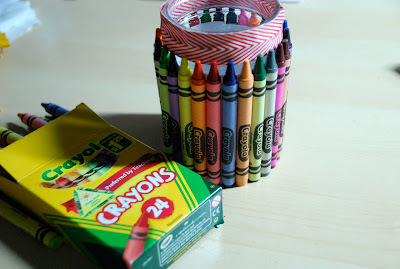 This helped to give me the adhesive needed to place the crayons around the middle of the jar. Instead of using a piece of chalkboard paper I embossed lines on the black cardstock, sanded them and then cut out white letters which I then adhered to the black cardstock to make it seem like a chalkboard. Also, this strip around the middle helped to reinforce the crayons in place even though I still adhered them to the jar.